I had to spray each of the pots with multiple coats. Terra cotta will absorb a lot of the paint and has a lot of “pores” so keep that in mind when trying to get an even surface. 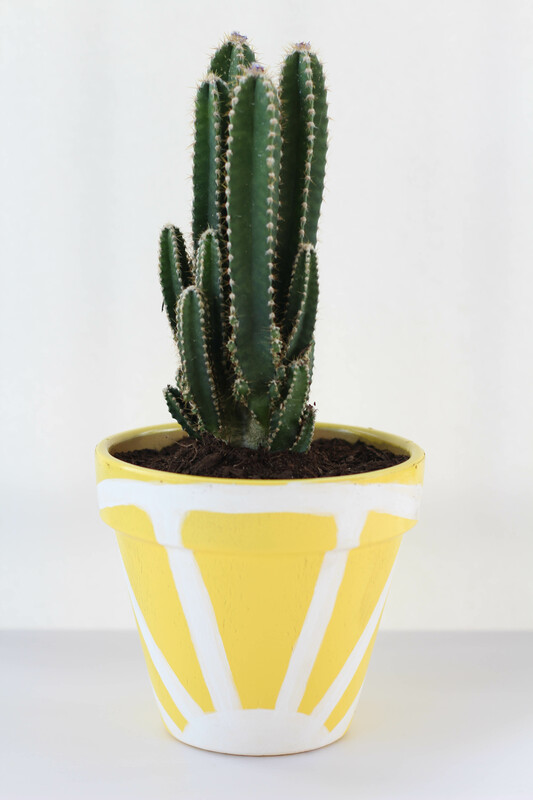 Spray paint your entire terra cotta pot yellow. Let dry. 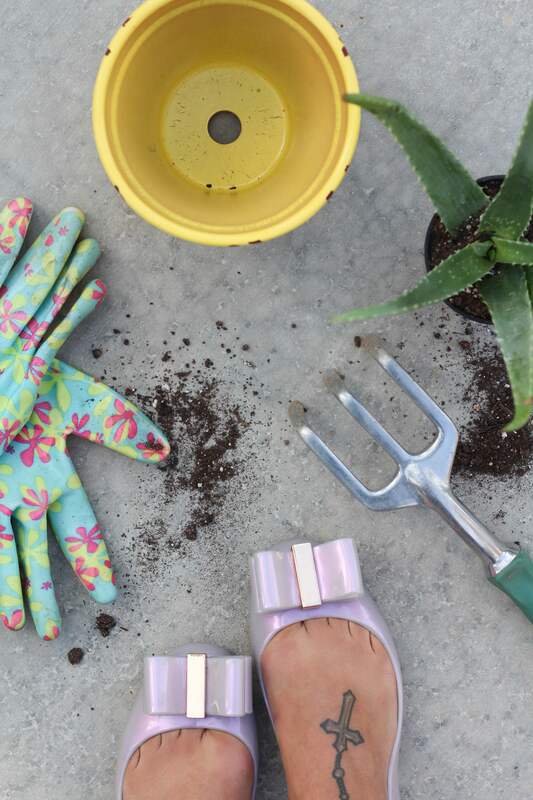 Once dry, tape off the pot using criss-crossing lines with blue painters tape. (Start with the lines going in one direction first, let dry completely, and then tape off and paint the intersecting lines). Paint against the edge of one side of the tape with brown acrylic paint. Let dry, then do this again for the intersecting lines. Using the end of a pen, add circles using brown paint, in between each of the “diamond patterns” created from your intersecting lines. Once dry, highlight small areas with green paint strokes. 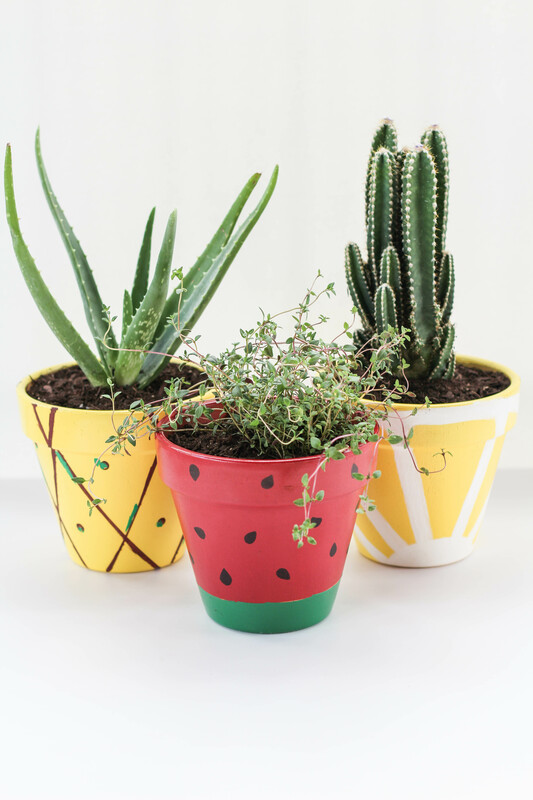 Tape off and cover the bottom of your terra cotta pot. 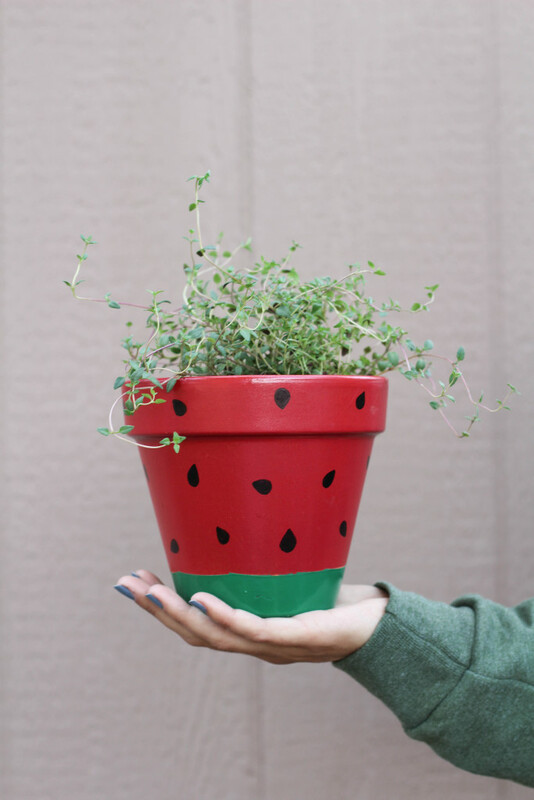 Spray paint the top of the pot with red or pink, whichever you prefer for your watermelon base. It seems to be a pretty heavy debate! Once dry, tape off and cover the top of the newly painted pot. 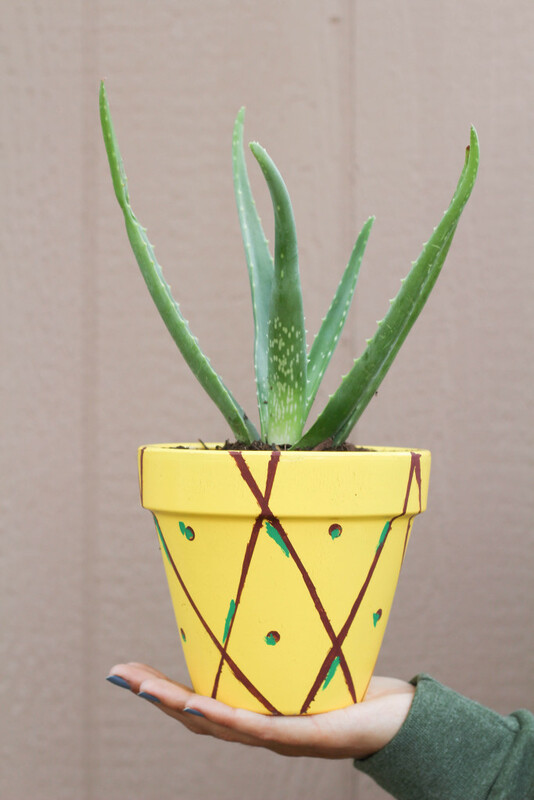 Spray paint the bottom of your pot using green. This will be the rind of your melon! Let dry completely and remove. 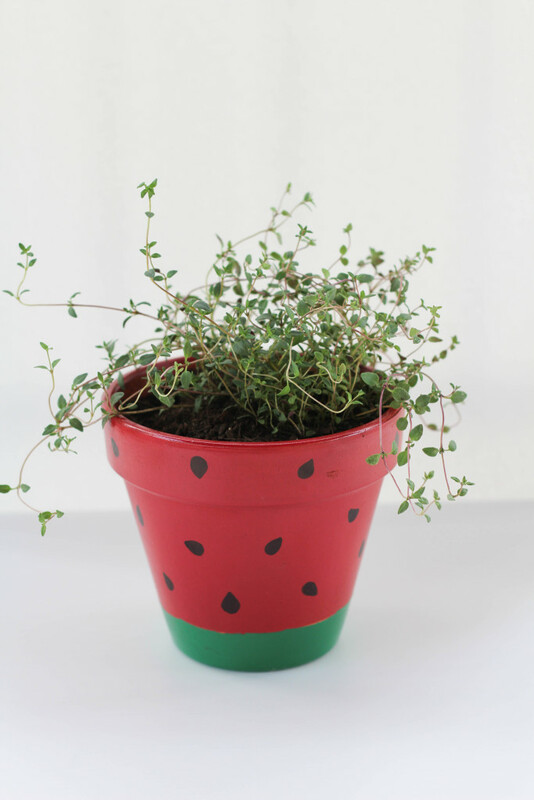 Using a black permanent marker, draw “seeds” onto the red section of your pot. 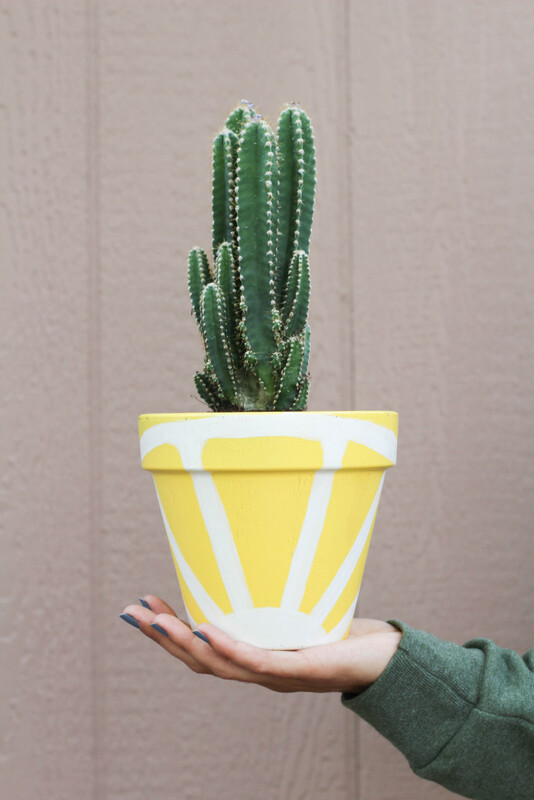 Spray paint your entire terra cotta pot yellow. Using white acrylic paint, create a half circle along the bottom of your pot. 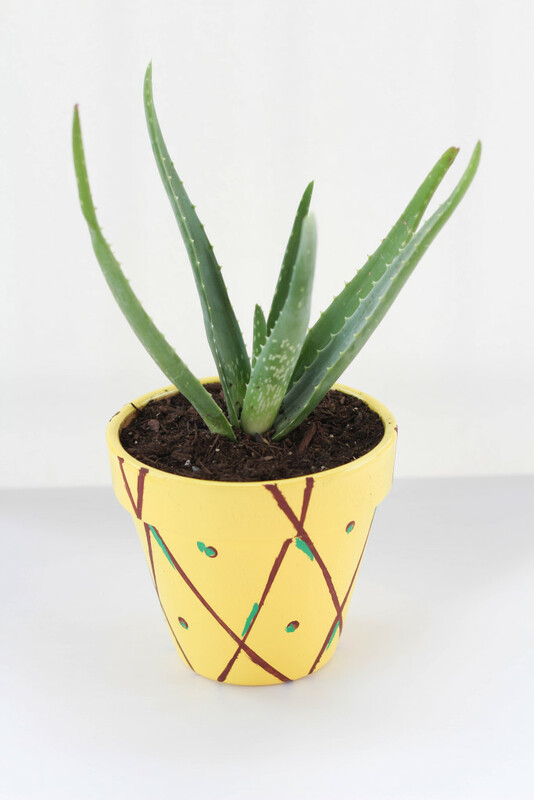 Brush “cone” shaped segments on your pot. The one in the center will be the widest, with the segments on the outside being the smallest. Paint a “rainbow” shaped arch across the top of your pot, connecting each of your lines and finishing off the lemon “segments”. You can also cut out shapes to trace first, before using the paint, if you are worried about getting the sizing right! I love how bright and fun they are! 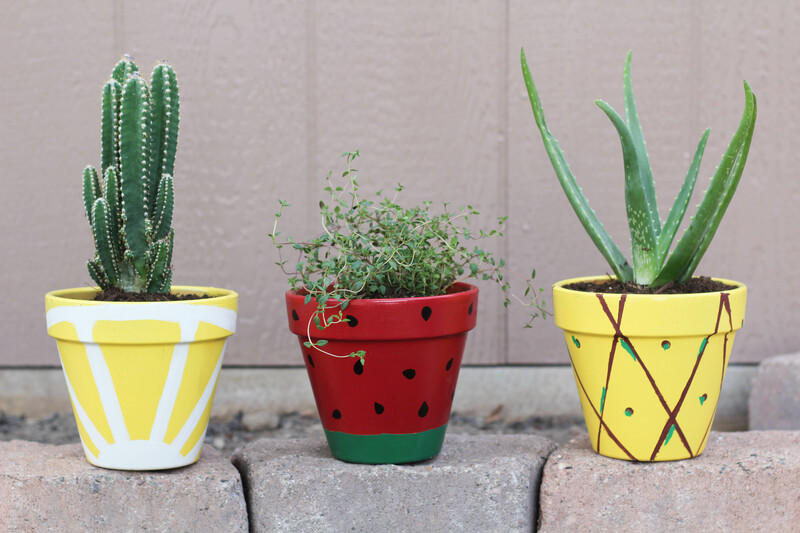 Such an easy project and these DIY fruit planters will help to cheer up any room or patio! What other fruits would you make?